The Bethlehem marathon will host hundreds of runners from around the world in the ancient West Bank city next Friday, with one omission: The Palestinian Authority's top runner, who happens to reside in the Gaza Strip. 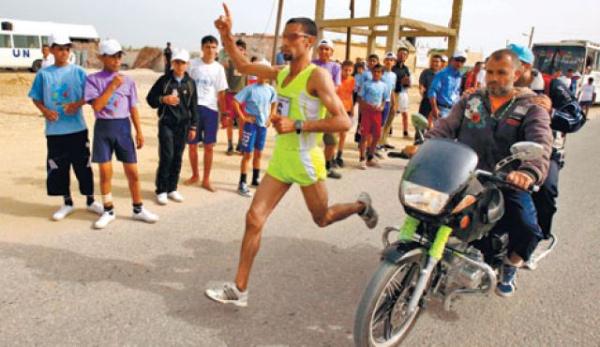 Nader al-Masri, 34, with 14 years of running under his belt, was the only athlete to represent the Palestinian Authority in the 2008 Beijing Olympics . The next year, he took part in a competition in Bahrain. But this time, Israel is refusing to let him out of the Hamas-controlled enclave and into the West Bank. 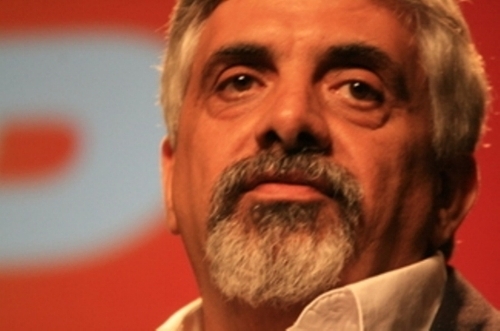 Al-Masri is set to petition the Supreme Court on Thursday, demanding the state reverse its decision and let him participate in the competition. "I don't have any security background or anything. I'm an athlete, I represent my country, go out, come back, and that's it," al-Masri told Army Radio. "I'm 34. I only have two, three more years before I retire," he added. Gisha, a human rights group which will file the petition on al-Masri's behalf, say Israel's denial of his request was issued on a whim, without justification, and claim the state abused its power. The state says it made its decision based on the fact that al-Masri does not fall under any criteria granting exit from the Gaza Strip, Army Radio reported. Palestine could join up to 550 international treaties and conventions including the International Criminal Court, the Palestinian ambassador to the UN said Wednesday. Ibrahim Khraishi told Ma'an that the 15 applications submitted on Wednesday would take three to four months for approval. “These conventions don't have US funding like other organizations such as the World Health Organization which receives $720 million annually, So, its members will not be financially blackmailed,” Khraishi said. He added that the US did not make any negative statements on the applications so far. Khraishi highlighted that he would meet the US ambassador in Switzerland on Thursday to discuss the issue. There are a few organizations that require General Assembly approval in addition to an internal majority of votes, he noted. Letters of accession for 15 international multilateral treaties and conventions were handed to the relevant parties on Wednesday after being signed by President Mahmoud Abbas a day earlier, Palestinian officials said. "I presented the letters signed by Abbas this morning to UN special envoy Robert Serry, as well as to the representatives of the Netherlands and Switzerland," Palestinian foreign minister Riyad al-Malki said. He said the Palestinians had begun the "technical process" required to obtain membership of some 15 international conventions and covenants, including the Fourth Geneva Convention. "This action does not detract from the importance of negotiations. We are still committed to these talks," he said. In July, the PLO agreed to postpone accession to international bodies in exchange for the release of 104 Palestinians prisoners jailed before the Oslo Accords. "Since Israel failed to release the last group of prisoners, the State of Palestine is no longer obliged to postpone its rights to accede to multilateral treaties and conventions," the PLO said in a statement Wednesday. "Despite the escalation of oppressive Israeli policies such as the killing of Palestinian civilians, settlement construction, raids on vulnerable communities, arbitrary arrests and detentions, home demolitions and the removal of residency rights, we remained committed to the negotiations process and supported US efforts," it added. Earlier, Israeli Tourism Minster Uzi Landau warned of punitive action if the PLO pursued efforts to join UN agencies and threatened that Israel could annex territory in the occupied West Bank in response. Israel could also hurt the Palestinians economically by acting "to block financial aid to them," the minister added. Modern technological development has brought with it the term multitasking, a term that replaced the popular "Can you chew and walk at the same time". Palestinian negotiators are now facing the tough challenge of applying to join various UN agencies while, at the same time, agreeing, to continue peace talks until the end of April. The action was publicly demonstrated by President Mahmoud Abbas who signed, on Tuesday, a document allowing the state of Palestine to join 15 different internationaltreaties. Until recently, it was believed that Palestinians had to choose between joining international agencies or participating in the negotiations. US Secretary of State John Kerry had extracted a commitment from Palestinians to refrain from such actions in return for Israel's release of 104 Palestinian prisonerswho have spent more than 20 years in Israeli jails. The release of those prisoners, held since before the start of the Oslo peace process, was agreed to during the Sharm El Sheikh agreement signed in September 1999. Instead of releasing all the prisoners at one time, the Israelis decided on four stages, the last of which was due to take place at the end of March. However, Israel chose not to release of the final batch, insisting that they be released only if Palestinians agree to extend the talks that are due to conclude at the end of April. Various efforts to make symbolic offers, such as releasing prisoners who have one month left to their term, to convince Palestinian negotiators have failed to change their mind, as they insisted on Israel to deliver as per the agreement. The Palestinians had a much more practical request at the start of the peace talks: an agreement to what the talks aim to produce and a commitment by Israel to suspend all settlement activities. Palestinians had asked that talks should aim at reaching the internationally accepted two-state solution based on the 1967 borders, as a reference. The Arab peace plan that offered Israel normalisation of relations with 57 Arab and majority Muslim countries in return for Israeli troops withdrawal from Arab areas occupied in 1967, and an agreed resolution of the Palestinian refugee problem was offered as one such basis for the talks. Israel rejected all attempts to have a reference for the talks. They also refused to suspend settlement activities and, in fact, accelerated landgrabs, building exclusive Jewish colonies and demolishing Palestinian houses, especially in occupied East Jerusalem. Israel has complained that unilateral Palestinian action is against the text and spirit of the peace process. Palestinians scoff at such statements when Israel fails to honour major clauses in existing peace agreements and continues to violate international law that aims to regulate long-term occupation. The Fourth Geneva Convention clearly states the illegality of an occupying power moving its people to occupied areas. 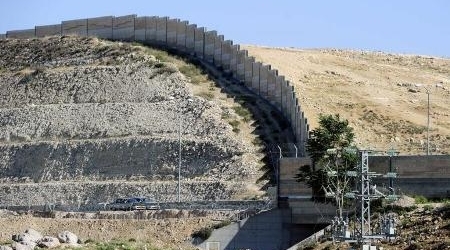 The International Court of Justice has given an advisory statement regarding the Israeli wall built deep on Palestinian land. The advisory ruling in 2007 states clearly that as an occupying power, Israel is forbidden to settle in Arab areas captured during the 1967 war. Actions and refusal to respect agreed-to commitments have consequences. By joining UN agencies, Palestinians are not rejecting the negotiating track. Explaining his decision, the Palestinian president reiterated that Palestinians will only use political and nonviolent means to refuse occupation and to attempt to translate the UN recognition of the state of Palestine into a sovereign state. The current round of talks appears to be coming to an unsuccessful end. The US-sponsored peace process cannot produce the coveted peace if one side is interested only in the process and does not have the aim of achieving peace. The Palestinian action does not necessarily replace the talks. But joining UN agencies, especially the International Court of Justice, will strengthen the Palestinian negotiating hand. Israel needs to understand that it cannot continue violating international law, occupying a people by sheer military power and colonialising its land without any consequences. Peace talks are the only channel that Palestinians are committed to, but this voluntary commitment must not be seen as a source of weakness. Israel prides itself on having occupied Palestinian lands in six days. The month of April is a long enough period to come to the table with acceptance of the price needed for a breakthrough. Land for peace based on the two-state solution is what the world declared as a fair solution to this conflict. The sooner Israel shows seriousness in talks the sooner the process can produce real peace. On Tuesday 1st April, following a unanimous decision by the Palestinian leadership, including the PLO Executive Committee President Mahmoud Abbas signed letters of accession to 15 multilateral treaties and conventions, an ability which Palestine gained following its upgrade to Observer State status by the UN General Assembly in November 2012. How are these letters of accession linked to the negotiations process? In July 2013, the PLO took the difficult decision to postpone accession to multilateral treaties and conventions in exchange for the release of 104 pre-Oslo prisoners in four stages. In fact, release of pre-Oslo prisoners is a commitment Israel had already made 20 years ago as part of the Palestinian Israeli interim accords (Oslo accords), again in 1999 through the Sharm al-Sheikh Agreement and a third time at the beginning of this negotiations process. The release of prisoners was not formally linked to the negotiations process. The fourth and final release of 30 prisoners was set to take place on March 29th 2014. As Israeli officials indicated that Israel would not go through with the release, the PLO requested that the US administration ensure that Israel fulfill its commitment. Since Israel failed to release the last group of prisoners, the State of Palestine is no longer obliged to postpone its rights to accede to multilateral treaties and conventions. The 9 months is not over yet. Doesn't this mean the Palestinians are breaking their commitment? No, this does not mean that negotiations process is over. President Abbas made this point clear during his announcement on Tuesday April 1st. Indeed, the PLO remains committed to this 9 month process, which ends on April 29. Despite the escalation of oppressive Israeli policies such as the killing of Palestinian civilians, settlement construction, raids on vulnerable communities, arbitrary arrests and detentions, home demolitions and the removal of residency rights, we remained committed to the negotiations process and supported US efforts. 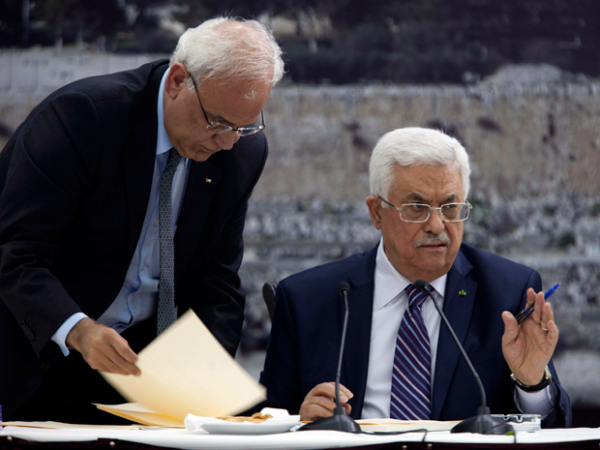 Which treaties and conventions did President Abbas sign? The letters of accession have been handed over to the relevant parties. There are a total of 63 treaties, conventions and agencies that the State of Palestine has the ability to join and will do so in the best interests of its people, as and when it sees fit. This is a right that all UN member and Observer states have. Isn't this just a unilateral step so the Palestinians can reject an agreement? No. This is the fulfilment of Palestine's right and has nothing to do with negotiations or the reaching of an agreement. As President Abbas expressed during the announcement, the Palestinian position remains unchanged. 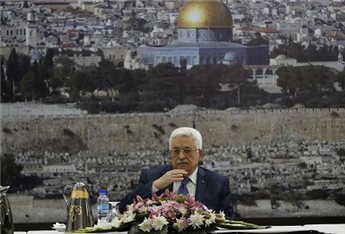 The PLO seeks to achieve an independent and sovereign Palestinian state on the 1967 border with East Jerusalem as its capital with a just solution to the refugee issue based on UN General Assembly resolution 194. It will use all legal means to achieve this, including negotiations and peaceful popular resistance. Doesn't this undermine US and international efforts? No. The Palestine is not seeking to clash with anyone. The tools it uses are legitimate and non-violent. The PLO bases its action on international law and the fulfilment of the long overdue and inalienable rights of its people. These treaties are vital to continued Palestinian institutional building, good governance and the upholding of human rights, all of which form the basis for an independent and sovereign State of Palestine. Palestine will pursue this non-violent track, including all possible diplomatic venues, in a way which serves the best interests of its people and the cause of a just peace. On the other hand, Israeli actions, including unrelenting settlement construction during this entire process, has undermined US and international efforts. What does this mean for the peace process? Are the negotiations over? No. The PLO is committed to negotiations until the 29th April, as agreed. The Israeli government needs understand that negotiations are a non-violent tool to achieve peace rather than a smoke screen behind which it can continue its violations of human rights, further its settlement enterprise, and make the two-state solution increasingly impossible. 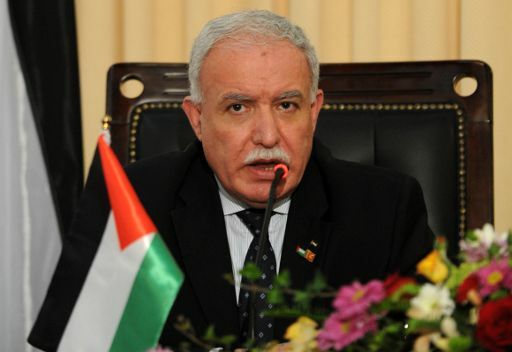 The Palestinian Foreign Minister, Riyad al-Malki, on behalf of the Palestinian President Mahmoud Abbas, handed international specialized entities, documents of the “official” adhesion of the State of Palestine to international conventions and treaties. The specialized entities are represented by Robert Serry, Representative of the Secretary General of the United Nations, and Paul Garnier, a representative of the Swiss Confederation, as well as the deputy representative of the Kingdom of the Netherlands, after the Palestinian President Abbas signed letters of accession to 15 international conventions and treaties. The Ministry of Foreign Affairs said in a statement, which PNN received a copy of, that the decision of Abbas came after the Israeli government refused to release the fourth group of Palestinian prisoners. The release was a promise made to Palestinians as a gesture to withhold them from going to the United Nations organizations. He added that the Israeli refusal forms a blow to the American and international efforts to salvage the negotiations, especially the efforts of the US Secretary of State John Kerry. The Ministry held the Israeli government as fully responsible for the failure of the negotiations. 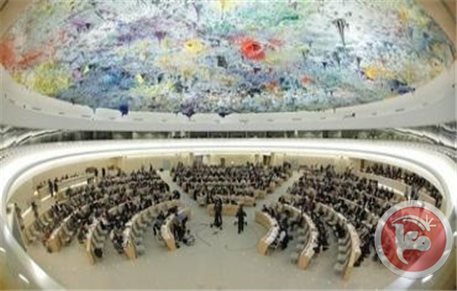 The ministry stressed that joining the international conventions and treaties is a Palestinian right, which expresses the will of the international society and agrees with the international legitimate decisions. The ministry also considered that the leadership’s decision to join the international conventions and treaties is a step to achieve peace, and rescue the negotiations from the Israeli government and its aggressive polices against the Palestinian people, its properties and holy sites. - The Hague Convention Respecting the Laws and Customs of War on Land and its annex: Regulations concerning the Laws and Customs of War on Land. - The Fourth Geneva Convention and Additional Protocol I of the conventions: relative to the Protection of Victims of International Armed Conflicts. Islamic Resistance Movement Hamas deems the initiative of Palestinian leadership to apply for membership in international organizations as a belated decision. 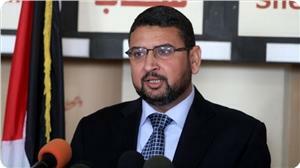 Hamas spokesman Sami Abu Zuhri called for the need to draw a strategic national plan and to irretrievably stop the negotiations. Applications for joining international organizations and treaties were signed following a meeting for the PA leadership held in the residence of PA chairman Mahmoud Abbas in Ramallah Tuesday evening. Abbas said in a statement that such an initiative came after Israel’s reluctance to release a fourth batch of Palestinian prisoners. For his part, US Secretary of State John Kerry cancelled plans to travel on Wednesday to Ramallah, according to Reuters News Agency. The announcement came shortly after Abbas initiated a move to apply for membership in 15 UN-affiliated organizations. An Israeli minister on Wednesday warned of punitive action if the PLO pursued efforts to join UN agencies, as hopes of a breakthrough in the US-led peace process faded rapidly. "If they are now threatening (to go to UN institutions), they must know something simple -- they will pay a heavy price," Tourism Minster Uzi Landau told public radio. President Mahmoud Abbas on Tuesday said he had begun steps to join several UN agencies, abandoning a pledge to freeze such action for the duration of peace talks -- which end in just four weeks. The Palestinians had repeatedly threatened to resume their action through international courts and the UN over Israel's settlement expansion in the West Bank and East Jerusalem, which is considered illegal under international law. "One of the possible measures will be Israel applying sovereignty over areas which will clearly be part of the State of Israel in any future solution," said Landau, a member of the hardline Yisrael Beitenu faction. Landau's remarks were referring to areas of the occupied West Bank populated by Jewish settlers which Israel hopes to retain in any future peace deal. 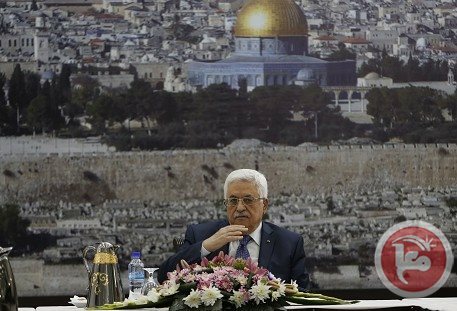 Abbas made his announcement just hours after Israel reissued tenders for hundreds of settler homes in annexed East Jerusalem, as Washington was working around the clock to resolve a major dispute over Palestinian prisoners. He had been due to fly back to the region on Wednesday for talks in Ramallah with Abbas but he cancelled his visit following the Palestinian leader's announcement, while attempting to remain optimistic. "It is completely premature tonight to draw ... any final judgement about today's events and where things are," he said in Brussels. The top US diplomat had hoped to convince the Palestinians to extend the faltering talks beyond their April 29 deadline, with the sides discussing a proposal which would have included a limited freeze on settlement construction. US peace efforts were already teetering on the brink after Israel refused to free a fourth and final group of 26 veteran Palestinian prisoners, which would have completed an agreement that had brought the sides back to the table. "We aren't acting against the United States, nor against any other party. It is our right (to do so) and we accepted to postpone using it for nine months," Abbas said of the decision to seek membership of UN agencies. The negotiations have faltered over several issues, notably Israel's settlement expansion in occupied Palestinian territory, with the Palestinians demanding a freeze on settlement construction, including in east Jerusalem. Tuesday's 708 tenders in the east Jerusalem settlement neighborhood of Gilo came on top of thousands of new homes announced over the course of the talks. Israeli NGO Ir Amim described the tenders as "a poke in the eye of both the Palestinians and the Americans," army radio said. And Hagit Ofran, from Israeli's Peace Now NGO, accused the housing ministry of "trying to forcefully undermine the peace process ... and John Kerry's efforts to promote it." On Monday, the Palestinians gave Kerry a 24-hour deadline to come up with a solution to the prisoner row, warning that failure to do so would see them turning to UN bodies to press their claims for statehood. But late Tuesday afternoon, Abbas announced a request to join "15 UN agencies and international treaties, beginning with the Fourth Geneva Convention. "The demands (for membership) will be sent immediately" to the relevant agencies, he said. "This is not a move against America, or any other party -- it is our right, and we agreed to suspend it for nine months," he said, without explaining why he had acted before that period ended. Kerry had met Israeli Prime Minister Benjamin Netanyahu for two hours late Monday before meeting Palestinian negotiators, then the pair held a second meeting early Tuesday. A US proposal to continue talks was to include a limited freeze on settlement construction, with Israel adopting "a policy of restraint with (West Bank) government tenders" but would not include annexed East Jerusalem. Sources close to the negotiations had said Washington was also mulling a proposal to free Jonathan Pollard, who was arrested in Washington in 1985 and sentenced to life in prison for spying on America on Israel's behalf. One of the sources also said the final batch of Palestinian prisoners would be freed, and Israel would also agree to free another 400 security prisoners not involved in deadly anti-Israeli raids. Israel-Palestine: which place(s) for which "state") ? The European Parliament's delegation made a report about Israel-Palestine situation. Among the conclusions: degrading hospital care in Palestine, the Israel's colonial policy and the false action of EU and UN authorities. “The Parliament’s decision to have separate Israel and Palestine delegations leaves MEPs too often divided in the perspectives they acquire. This weakness in our formal arrangements is compounded by the apparent reluctance of the two delegations to work closely together and share in joint activities,” regretted Chris Davies (ALDE), member of the delegation consisted also by Norbert Neuser (S&D) and Nicole Kiil-Nielsen (Greens/EFA). The delegation visited the Palestinian Legislative Council from 23 to 27 March 2014. During this period, the delegation wanted to strengthen his understanding of the circumstances of the Palestinian people and assess the state of the peace process between Israeli and Palestine. For example, regarding the Gaza Strip, particularly to gain a better appreciation of the situation after eight years of Israel's blockade, and at a time when the 1.7 million residents are again trapped behind barriers that are closed entirely to all commercial transactions. Following this visit, several lessons have been learned by Chris Davies. The report is alarming. Also, the EU is currently helping Palestine with financial funds (hundreds of millions euros each year) with an aim of developing Palestinian institutions. “But this is supposed to be preparing them for a statehood that may never be realized.” In spite of the Geneva Convention, which makes clear that the occupiers of a land should safeguard the well-being of the people under their control, ”it must be questioned why the EU is, in effect (and for the best possible reasons), subsidising the occupation and letting Israel escape its financial burdens,” declared Davies. Finally, with regard to a possible peace agreement, Palestinian doesn’t seem to believe in it. The Palestinian believes that “Israel wants a continuing peace process solely to provide itself with PR cover from criticism while it continues to build settlements, change the facts on the ground and make the creation of an independent Palestinian state impossible,” he concluded. The negotiations, conducted through American interlocutors, between Israeli and Palestinians are stopped since November. Israel demands Palestinians to accept living in a Jewish state. There is then no progress in this case and maybe UN bodies should act. Establish two countries, if it’s not already too late, or unify them. 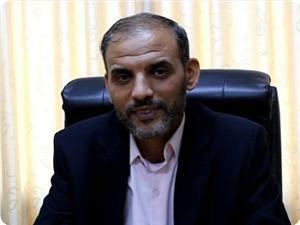 Husam Badran, Hamas’s spokesman, denied Iranian news reports that political bureau chairman of Hamas Khaled Mishaal would visit Tehran soon after the end of the Nowruz holiday. Badran, who is based in Doha, told Alquds.com website on Tuesday that what the news media had published in this respect was not accurate. 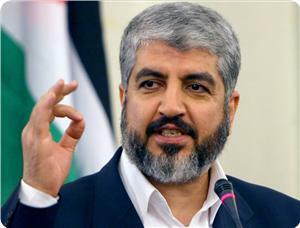 “There is no talk about a specified date or about an Iranian invitation for Mishaal to visit Iran, the spokesman said, pointing out, in this respect, that Hamas maintains good relations with all Arab and Islamic countries. Concerning the media report about the visit by Islamic Jihad movement’s secretary general Ramadan Shallah to Doha to meet Mishaal, Badran said Shallah visits Doha every now and then. “The last such visit was two weeks ago,” he said, adding that it was an ordinary visit that fell in line with the good relations between Hamas and Islamic Jihad leaders and coordination between them in all issues and also fell in line with the “strong relations” between Mishaal and Shallah. President Mahmoud Abbas on Tuesday said the Palestinians would seek membership in international organizations after Israel failed to release a batch of Palestinian prisoners on schedule. In a televised speech, Abbas said he had started the process to sign agreements with 15 United Nations agencies and organizations and would pursue joining more. "The Palestinian leadership has unanimously approved a decision to seek membership of 15 UN agencies and international treaties, beginning with the Fourth Geneva Convention," Abbas said after signing the demand. An Iranian newspaper said that Khaled Mishaal, head of Hamas' political bureau, might visit Tehran after the end of the Nowruz holiday next Friday. The relations between Hamas and Iran have become strained for some years because of their different positions towards the Syrian crisis. The Iranian newspaper Economy World said that secretary-general of Islamic Jihad Ramadan Shallah had visited last week Qatar and met with Mishaal to coordinate the latter's visit to Tehran. It added that Mishaal is waiting for an official invitation to visit Tehran.